Stree has turned out to be a blockbuster at the box office. 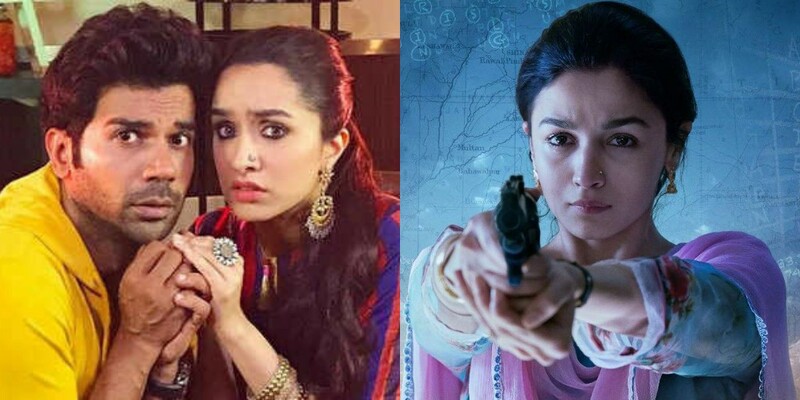 Despite the release of Manmarziyan and Batti Gul Meter Chalu, Rajkummar Rao and Shraddha Kapoor's Stree continued its phenomenal run at the ticket windows. In fact, it seems new movies have not affected the collections of the horror-comedy at the box office. The film raked in Rs 6.42 crores in its fourth weekend and now stands with the grand total of Rs 119.09 crores. Looking at the current scenario, we are expecting the film to earn around Rs 125 crores by the end of its fifth weekend. With this total, it will cross the lifetime business of Alia Bhatt starrer Raazi and will emerge as the fifth highest grosser of the year. Here's the list of 2018's top 10 grosser:. Race 3 — Rs 175 crores. Baaghi 2 — Rs 165 crores. Stree has turned out to be a blockbuster at the box office and has become the most profitable film of the year. Made on the budget of Rs 20 crores including promotion and advertising, the film had recovered its investment before its release through satellite, music and digital rights. The producer of the film, Dinesh Vijan has confirmed about the film's sequel, and we can't hide our excitement for it. Directed by Amar Kaushik, the film also stars Aparshakti Khurana, Abhishek Banerjee and Pankaj Tripathi in pivotal roles. Anyway, do you think Stree will affect Varun's Sui Dhaaga in the box office? Tweet to us to let us know.